grandPad®, known for producing senior-friendly tablet computers, announces plans to investigate loneliness in seniors. The new research aims to understand the efficacy of the grandPad® at alleviating the harmful effects of loneliness. Recent studies highlight an alarming rate of reported loneliness in America’s senior citizen population. grandPad®, creators of one of the first tablet computers designed for seniors, especially aged 75 and above, announces plans to design research that will seek to better understand loneliness in seniors. Dr. Aurora LePort, Head of Research at grandPad Inc., is currently designing studies aimed at understanding the degree to which using the grandPad can decrease loneliness, enhance cognition, and improve the overall wellness of older adults. Loneliness, often broken down into two subsets, has been linked to many troubling quality of life issues. Both emotional loneliness, defined as the absence of attachment to a beloved or special person, and social loneliness, defined as the lack of a meaningful relationship with those in one’s social network, can lead to a diminished quality of life and an increased mortality rate. 40-50% of adults aged 80 and above report that they are often lonely. 8.6% greater risk of death as compared to seniors reporting they do not feel lonely. 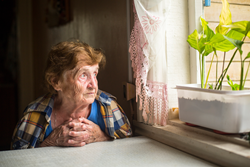 Loneliness in seniors is not only heartbreaking, it’s costly. Studies show that among seniors, up to 10% of physician visits are motivated by loneliness. In fact, 18.6 billion dollars is estimated to be spent annually on treating lonely seniors. grandPad® senior tablet is dedicated to creating a user interface that is intuitive and simple to learn, effortlessly connecting seniors with loved ones with the touch of a button. grandPad® senior tablet allows seniors to connect with their family and friends no matter the physical distance between them. From phone calls and video calls to email, and photo sharing, grandPad® senior tablet can bridge the gap between seniors and their families and help prevent senior loneliness. Also featuring games and entertainment features, grandPad® senior tablet is a hassle-free and compassionate gift option that allows seniors to connect simply and live grand. Based in Orange, California, grandPad® senior tablet is a first of its kind smart tablet designed specifically with a senior audience in mind. With built-in internet, first class customer services options, and damage and theft insurance included in every tablet, grandPad® senior tablet offers a no contract, month-to-month subscription plan to fit in any senior’s lifestyle. With attractive pricing and ease of access to top rated, understanding customer support agents, grandPad® offers what we believe no other tablet on the market can – simplicity and compassion with seniors in mind.